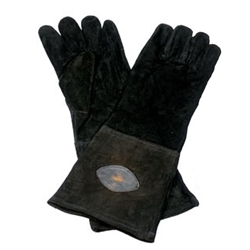 These Black Suede Gloves are perfect for costumes, reenactment, LARP, and swordsmanship. Available in sizes small, medium, and large. Made by Palnatoke.